This paper proposes a method that can estimate and classify the magnitude of wheel slippage for a mobile robot in sandy terrains. The proposed method exploits a sensor suite, called an in-wheel sensor, which measures the normal force and contact angle at the wheel-sand interaction boundary. 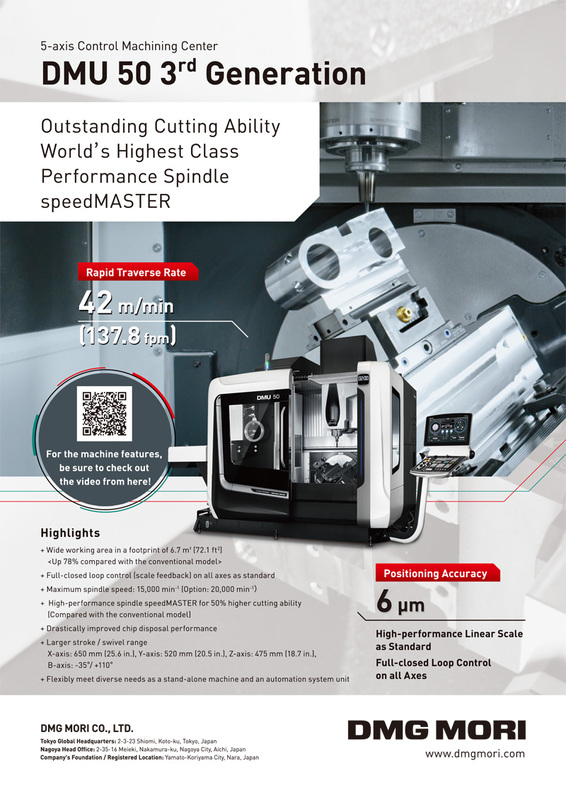 An experimental test using the in-wheel sensor reveals that the maximum normal force and exit angle of the wheel explicitly vary with the magnitude of the wheel slippage. These characteristics are then fed into a machine learning algorithm, which classifies the wheel slippage into three categories: non-stuck wheel, quasi-stuck wheel, and stuck wheel. 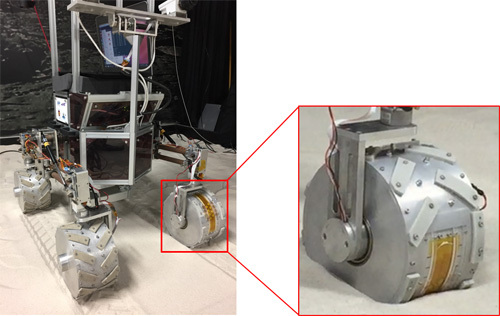 The usefulness of the proposed method for slip classification is experimentally evaluated using a four-wheel-drive test bed rover. T. Omura and G. Ishigami, “Wheel Slip Classification Method for Mobile Robot in Sandy Terrain Using In-Wheel Sensor,” J. Robot. Mechatron., Vol.29, No.5, pp. 902-910, 2017. A. Angelova, L. Matthies, D. Helmick, and P. Perona, “Learning and prediction of slip from visual information,” J. of Field Robotics, Vol.24, Issue 3, pp. 205-231, 2007. M. Maimone, Y. Cheng, and L. Matthies, “Two years of Visual Odometry on the Mars Exploration Rovers,” J. of Field Robotics, Vol.24, Issue 3, pp. 169-189, 2007. R. Gonzalez, S. Byttner, and K. Iagnemma, “Comparison of Machine Learning Approaches for Soil Embedding Detection of Planetary Exploration Rovers,” Proc. of the 8th Americas Conf. of ISTVS, 2016. H. Tsubaki and G. Ishigami, “Modeling of Wheel-Soil Interaction Mechanisms Based on Accurate Measurement of Pressure Distribution for Lightweight Vehicle,” Proc. of the 8th Americas Conf. of ISTVS, 2016. J. Y. Wong, “Terramechanics and off-road vehicles,” pp. 121-137, Elsevier Science, 1989. T. Shirai and G. Ishigami, “Development of in-wheel sensor system for accurate measurement of wheel terrain interaction characteristics,” J. of Terramechanics, Vol.62, pp. 51-61, 2015. T. Kobayashi, Y. Fujiwara, J. Yamakawa, N. Yasufuku, and K. Omine, “Mobility performance of a rigid wheel in low gravity environments,” J. of Terramechanics, Vol.47, Issue 4, pp. 261-274, 2010. O. Ringdal, T. Hellstrom, and O. Lindroos, “Estimating wheel slip for a forest machine using RTK-DGPS,” J. of Terramechanics, Vol.49, Issue 5, pp. 271-279, 2012. J. B. Johnson, A. V. Kulchitsky, P. Duvoy, K. Iagnemma, C. Senatore, R. E. Arvidson, and J. Moore, “Discrete element method simulations of Mars Exploration Rover wheel performance,” J. of Terramechanics, Vol.62, pp. 31-40, 2015. V. Vapnik and A. Lerner, “Pattern Recognition using Generalized Portrait Method,” Automation and Remote Control, Vol.24, pp. 774-780, 1963. K. Iagnemma and C. C. Ward, “Classification-based wheel slip detection and detector fusion for mobile robots on outdoor terrain,” Autonomous Robots, Vol.26, Issue 1, pp. 33-46, 2009. V. Vapnik, “The Nature of Statistical Learning Theory,” Springer-Verlag, 1995. M. Sokolova and G. Lapalme, “A systematic analysis of performance measures for classification tasks,” Information Processing & Management, Vol.45, Issue 4, pp. 427-437, 2009.